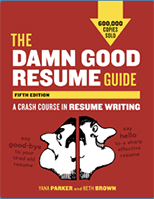 The Damn Good Resume Guide, Fifth Edition. If you’re looking for expert help with your resume, I am here to work with you on an individual, one-on-one basis. No boring canned resume formats! I use a collaborative approach to create a powerful, customized resume that skillfully presents your strengths and achievements to potential employers. translating your skills and accomplishments into clear and concise language that markets your achievements and strengths. I am really impressed and thank you very much. This approach is so much better and definitely focuses on what I can provide/do regardless of when it was accomplished. – Jeff W.
Find more resume writing testimonials from satisfied clients. 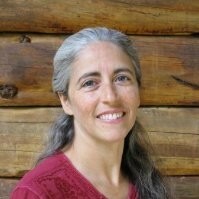 Take a look at my professional resume writer resume. Want to know more about The Damn Good Resume Guide? Let’s connect: Are you ready to dive in and open the doors that You want to open? I’m here and ready to help you with your job search – let’s connect! What is Professional Resume Writing? Professional resume writing is an intensive process that leads to a quality product, one that helps you present your best self, shaping your work history and accomplishments in a way that shows an employer how you’ve got what they’re looking for. I enjoy both the one-on-one nature of the collaboration and the word crafting necessary to create a finely tuned, successful resume. I can help you with your job search in a number of ways, because I’m not only a professional resume writer, I’m also a writer, editor, coach and presenter! Let’s connect: Contact me for job search help.